A glimpse into the life of a foster child. Younger teens, please ask your parents to preview this clip before watching yourself. It is fictionalized but powerful. P.S. I just started a new job, so my postings may be more sporadic for a while. Please be patient! This past summer, our church did an experiment with an adult VBS program. I was helping with the kids program, so I didn’t see most of the videos shown. However, the week before VBS, we previewed one of the adult lessons. It just so happened that the one we watched featured an incredible story about a family who had adopted several children. As I was trying to come up with an idea for this post, I thought of trying to find and share that story. Unfortunately, I haven’t found it yet, (I’ll let you know if I do.) but I did find this story from Focus on the Family. P.S. Not quite sure what a CASA is? The initials stand for Court Appointed Special Advocate, also known as a Guardian Ad Litem. You can read more about it here. Seven-year-old Carmel’s story caught my eye when I was looking through children listed in the United States. She has a lot of medical needs and is unable to speak or move by herself. However, her profile shows that she can interact with her caregivers and respond to music and lights. Carmel is in need of a special family to care for her needs and give her a loving home! 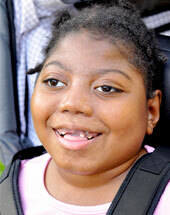 Carmel is a female child of Caribbean decent and she was born September of 2006. Meet this beautiful young child who has faced unbelievable challenges and obstacles. Despite all of her obstacles Carmel is stable medically and has the ability to respond to her caregivers. Carmel is medically needy and requires 24 hour medical monitoring, which is divided between a parent, a night nursing staff and a school nurse that comes with the school bus to pick her up and remains with her until she arrives back home. She is currently nonverbal and non-ambulatory. Carmel loves music and responds to it with smiles. Carmel can respond to bright lights and can respond to movement in a room. Carmel enjoys toys with lights, music and vibration. Carmel is in need of a family. We are willing train an individual, at no cost, to care for Carmel. She is just a child in need of a loving home. July and August can be great months for teens who want to help out with orphan care ministries. Why? It’s simple. Back to school sales are currently at their peak. School supplies can be used by a wide variety of ministries that help orphans and underprivileged children. During back to school sales, you can find all sorts of stuff at huge discounts. My personal favorite is the Wal-Mart sale. Clip With Purpose is a great website to keep track of other sales. Last year I got notebooks for 20 cents and boxes of crayons for 25 cents. Most of us don’t have a lot of expendable income, so this is a great way to stretch what we have. Okay. So you might be wondering how you can use all those school supplies to help orphans. Here are a few ideas. Those of you who participated in the group read of Orphan Justice may already know about this. Kids often enter the foster system with very few personal belongings. One way individuals and churches can reach out to them is by packing backpacks with toiletries, underwear, coloring supplies, etc. You can stock up on many of these items during the back to school sales. This is where the majority of my back to school finds end up. Operation Christmas Child delivers boxes to poverty stricken children around the world. Though this ministry is not specifically targeted at orphans, it definitely impacts them. Plus it’s super easy and lots of fun. If you have questions, feel free to send them my way. This one can be a little tricky because international shipping costs so much. Some ministries have predetermined ways of getting donations overseas. If they don’t it is possible to raise the money to ship a box or carton of supplies. Or you could send your donations with someone going on a missions trip. That’s the route I’ve taken in the past, and this year I got to be on the delivery end of the deal! 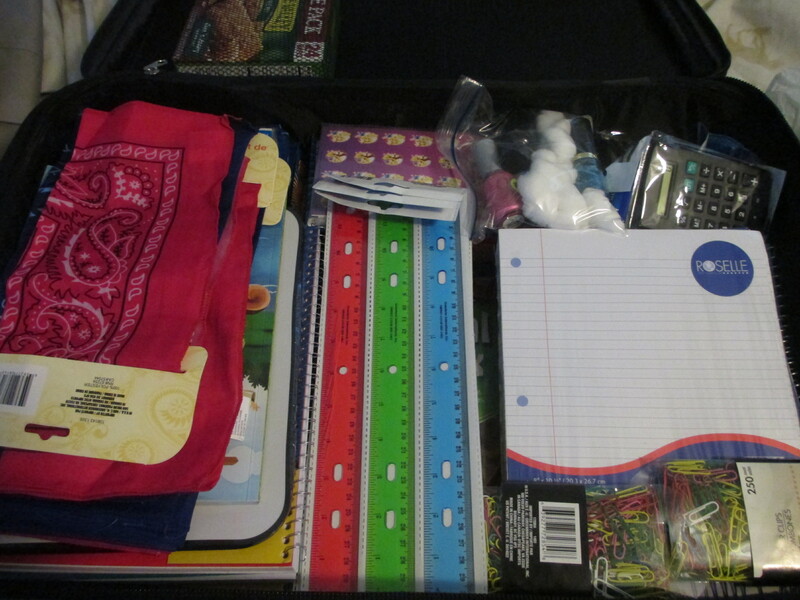 School supplies for our missions trip. 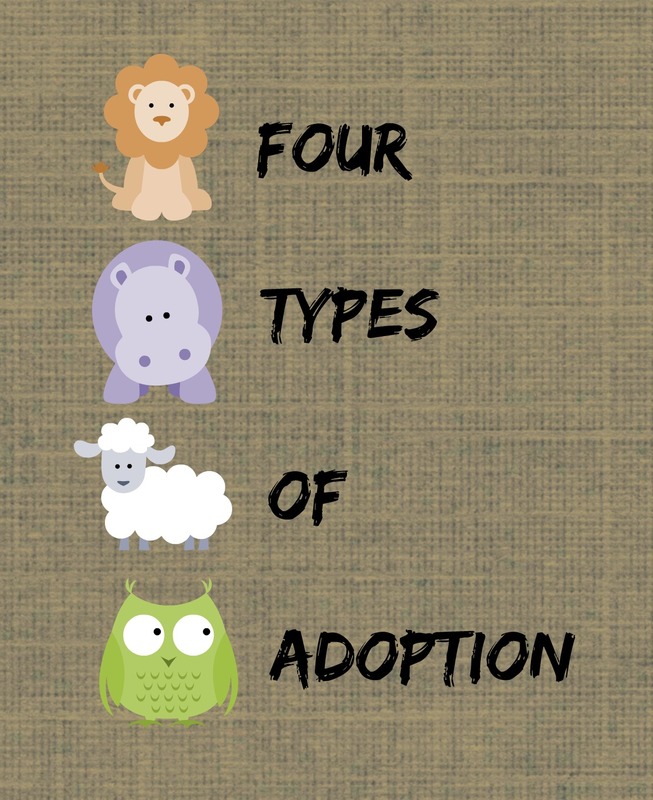 Do you know a family who has adopted or is in the process of adopting? You could always take advantage of the back to school sales to bless them. Ask them for a list or just surprise them. Or, if you don’t have any money, volunteer your time. Maybe you know an adoptive mom who would love to take advantage of the sales but can’t find the time to go shopping. Do any of these ideas appeal to you? 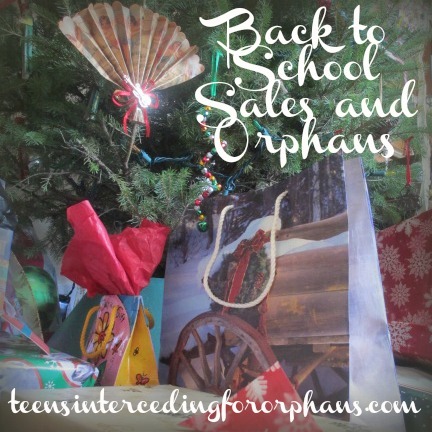 Can you think of any other ways to use back to school sales to bless orphans? Fernandez is full of humor and life, as you can see from this picture! He is thirteen years old, in the foster care system of Nebraska. Fernandez has big dreams for the future–all he needs is a family to support him. Fernandez can simply be described as all boy! He loves sports, especially football, basketball, wrestling, and swimming. When the weather is nice outside, Fernandez likes to spend his time fishing! When he was asked what his favorite food is, he laughed and said, “everything!” Fernandez can be shy but after he gets comfortable, his sense of humor and contagious smile comes alive! Fernandez likes to do things to help others. He has been getting good grades in school and his favorite subject is math. When Fernandez grows up, he wants to either be a football player, a police officer, or a real estate agent. Around 400,000 children live within the United States foster care system. Of those children, over 100,000 are waiting <!–ato be adopted. Adoption through foster care is the most affordable way to adopt, though it also results in the highest level of governmental involvement. It generally takes a year to have a a child placed in a family adopting through foster care and costs between $0 and $1,000. Is it really worth it? To pile on love and adoration, only to know the one you love will soon have to leave? Is it worth it to completely give all you have to someone who you quite possibly might never see again? Is love worth the tearing and pulling apart that comes when you open your home to a situation like this? When this little guy first came into my life I totally welcome him way down deep into my heart. I would stay up late, sometimes begging him to just go to sleep, other times wishing he wouldn’t drop off so fast. I would love to hold him in the back of church, totally reveling all the attention we would get, never dreaming about the day it would actually end. I guess I’m great at living at denial in that way. I knew when my parents first mentioned foster care that the child would most likely end up back with his or her parents. I knew that, but refused to accept it. Now I have to. This awesome little guy just turned two, and we are really good friends. There’s nothing like coming home from work and having him run up to me yelling my name, or cranking on the tunes and watching him dance and try to air guitar like his favorite foster brother. These are good days, golden days. But soon, they will end. He will go back to live with his mom, and I can’t stop it. All I can do is pray more desperately than I have ever prayed in my life. 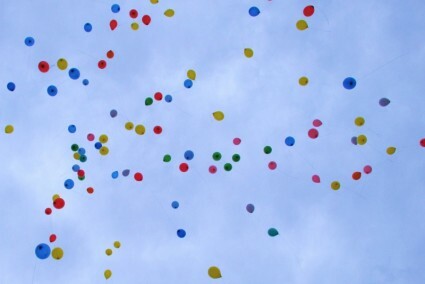 I never knew how hard it was to let go until I had to do it. He is her child after all. But I learned a long time ago that reason does not stop pain. The pain is necessary, in order to heal. Which brings it around. Is all this pain, all this hurting worth it? In a word, totally. In a thousand words, well just look at a picture of him and you will see what I mean. The chance at changing a life forever is worth the pain. Because he has had a stable first two years of his life, he has a much better chance at a stable adulthood. The shot at making a real difference in not only the life of a child, but also his mom and her family. Not to mention the real, epic, lasting changes and experiences I have gained on this journey. Jacques’ eager smile caught my eye this week. 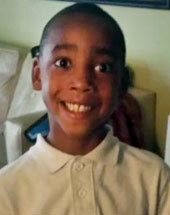 He is seven years old and is in Florida, waiting in the foster care system. He loves to play sports, but struggles with school. A special consideration for Jacques is his brother, with whom Jacques wants to remain in contact once he finds his forever family. There is so much to say about Jacques. Jacques has a bubbly personality and he is playful and energetic. This little boy is ready to go outside, play games, and play sports. Jacques would benefit from a structured after school activity program. Jacques requires assistance with special education services, and needs an adoptive parent to be a strong educational advocate for him. Jacques would benefit from a loving family that is ready to help him heal from his past and prepare him for a bright future.